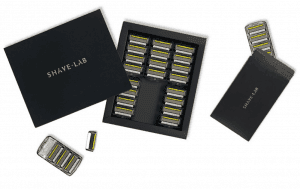 Shave-lab.com has been selling razors, razor blades and all shaving accessories since 2011. They also offer a blade subscription service for women and men. Their razor bade subscription is accurately tailored towards the user’s needs and can be changed immediately. As part of the razor blade subscription you subscribers will receive suitable razor blades in the elegant Shave-Lab paper box via mail. How would you rate Shave-lab.com subscription ?